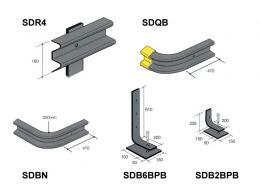 Barrier requires 4 x SDB2BPB and 4 x SDB6BPB per unit. What Is The Purpose Of The Spring Steel Warehouse Barrier? If you have a forklift that is constantly driving around your warehouse, shifting, loading and unloading pallets, it’s bound to make contact with your pallet shelving or your warehouse walls. To prevent any damage or even catastrophe from occurring, get the spring steel warehouse barrier to protect your entire stock. 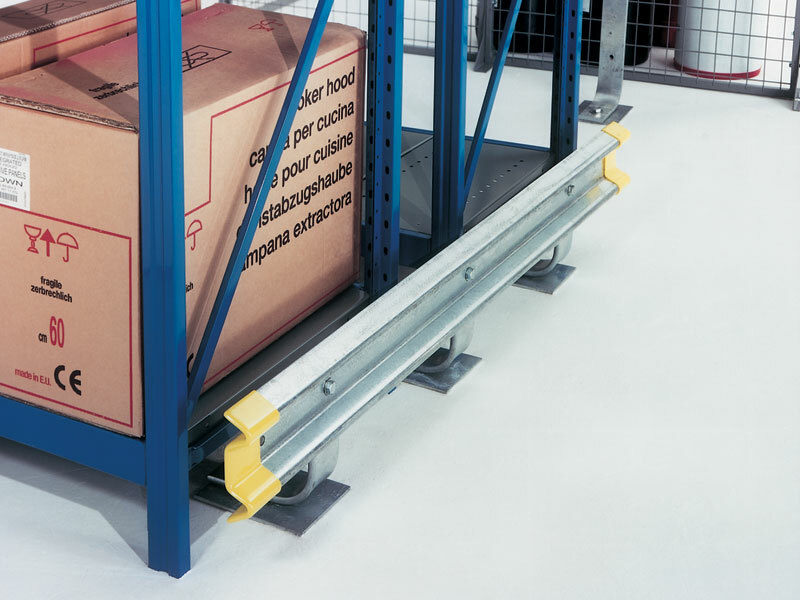 This barrier is a modifiable rail this mounted against your walls and pallet shelving. It protects your forklift from damage, and absorbs a shock of an impact. You can choose to affix it directly to the shelving units you already have or you could simply mount posts against your warehouse wall and affix the rails to the posts. The thin steel provides a sturdy and secure barrier for all collisions and the galvanised steel components give it strength to last. Coming in 4m lengths, you can also get curved pieces, end caps and a whole range of modifiers to suit your entire floor space. Where Can The Spring Steel Warehouse Barrier Be Used? Obviously, it is meant to be used in the warehouse setting. 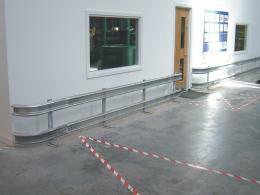 Anywhere that you have a consistent forklift presence would benefit from the rails you can mount just about anywhere. Put in throughout your warehouse and even out in the loading areas and docks. Our posts and poles give you a full range of options when it comes to locations to mount your rails. Who Might Use The Spring Steel Warehouse Barrier? Used by forklift drivers and delivery drivers mainly, the spring steel barriers should be installed by any business owner that values the space they work and the stock they have. Comes in low, high or dual rails. 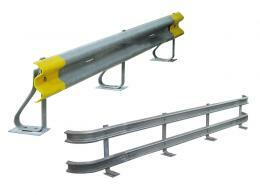 610mm posts can mount the single or dual rails. 160mm x 40mm x 3mm thick galvanised steel rails. 10mm thick buffer spring steel comes with the baseplates and mounting bolts needed to install. Absorbs the impact before your shelves or walls do.